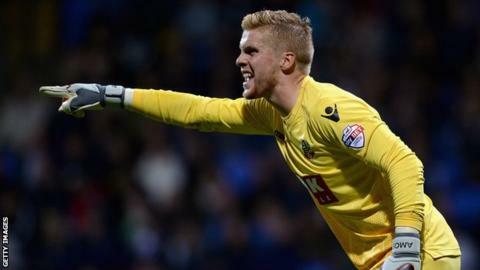 Preston played out a goalless draw against Championship strugglers Bolton in a game low on clear-cut chances. Wanderers striker Shola Ameobi had the best chance of the first half but his effort from Jay Spearing's free kick went over the crossbar. Joe Garner and Daniel Johnson tested visiting keeper Ben Amos from distance after the break. Lilywhites keeper Jordan Pickford kept out Gary Madine's low shot as Bolton's winless run stretched to eight matches. A derby meeting between the two lowest-scoring sides in the second tier this season proved to be a largely uninspiring affair. Ameobi's opportunity summed up the first period as he struggled to make a clean connection with Spearing's delivery as the ball came off his shoulder and went over. North End midfielder Johnson had two efforts blocked by David Wheater in quick succession, while Preston defender Calum Woods was lucky to receive just a yellow card for a trip on Max Clayton, who looked to be through on goal after gathering Spearing's long cross-field ball. Substitute Jordan Hugill failed to make the most of an opportunity with 15 minutes remaining, preferring to shoot from outside the box when he could have played in Johnson. Madine's well-struck effort through a crowd of bodies forced a good save from Pickford, low to his right, but the home side could not capitalise on late pressure. Neil Lennon's Bolton side have won just once this season and remain in the relegation zone, although a point lifts them above Rotherham and Charlton. Preston kept a seventh clean sheet of the campaign but the Lilywhites have picked up one win in their last 12 games and are now three points above the bottom three. Match ends, Preston North End 0, Bolton Wanderers 0. Second Half ends, Preston North End 0, Bolton Wanderers 0. Corner, Preston North End. Conceded by Casado. Attempt blocked. Daniel Johnson (Preston North End) left footed shot from outside the box is blocked. Assisted by Paul Gallagher. Corner, Preston North End. Conceded by Darren Pratley. Attempt saved. Gary Madine (Bolton Wanderers) right footed shot from the right side of the box is saved in the bottom left corner. Assisted by Max Clayton. Corner, Bolton Wanderers. Conceded by Calum Woods. Substitution, Bolton Wanderers. Francesco Pisano replaces Derik. Substitution, Preston North End. Paul Huntington replaces Marnick Vermijl. Substitution, Preston North End. Neil Kilkenny replaces Alan Browne. Substitution, Bolton Wanderers. Neil Danns replaces Jay Spearing. Darren Pratley (Bolton Wanderers) wins a free kick on the right wing. Attempt saved. Jordan Hugill (Preston North End) right footed shot from outside the box is saved in the centre of the goal. Assisted by Joe Garner with a headed pass. Corner, Preston North End. Conceded by Derik. Attempt saved. Daniel Johnson (Preston North End) left footed shot from outside the box is saved in the top centre of the goal. Assisted by Marnick Vermijl. Substitution, Bolton Wanderers. Gary Madine replaces Shola Ameobi. Delay in match Shola Ameobi (Bolton Wanderers) because of an injury. Foul by Casado (Bolton Wanderers). Attempt missed. Shola Ameobi (Bolton Wanderers) header from the centre of the box misses to the right. Assisted by Derik with a cross. Substitution, Preston North End. Jordan Hugill replaces Eoin Doyle. Attempt saved. Joe Garner (Preston North End) right footed shot from outside the box is saved in the bottom right corner. Assisted by Daniel Johnson. Foul by Shola Ameobi (Bolton Wanderers). Offside, Preston North End. Bailey Wright tries a through ball, but Joe Garner is caught offside. Attempt missed. Jay Spearing (Bolton Wanderers) right footed shot from outside the box is too high from a direct free kick. Attempt missed. Derik (Bolton Wanderers) right footed shot from outside the box misses to the left. Adam Reach (Preston North End) wins a free kick in the defensive half. Second Half begins Preston North End 0, Bolton Wanderers 0.